Is your flag not available? Send us an email. 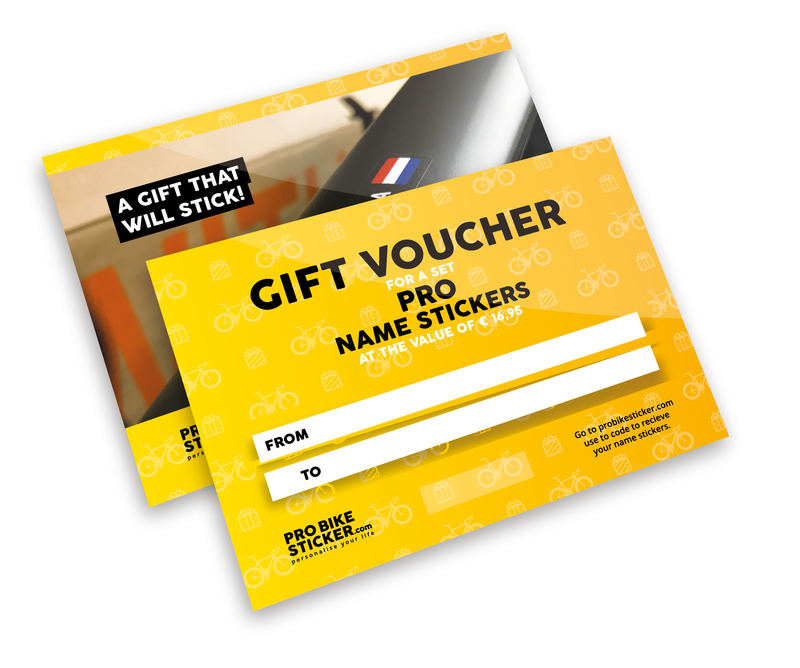 Pro Bike Sticker offers you the possibility to personalise your bike or your gear with a unique name sticker with your name, flag and colour of choice! 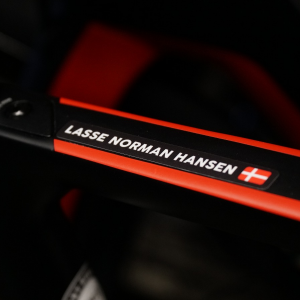 Do you want to have your own name on your bicycle frame like a real professional? That is possible! From now on you can proudly show that you are the owner of your bike. 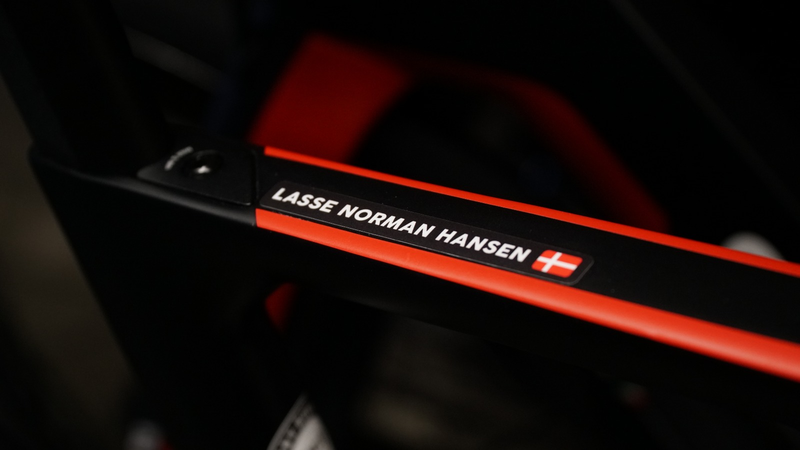 We offer you the possibility to personalise your bike with your name and own flag! And we deliver world wide! The stickers can be stuck on any type frame with ease. 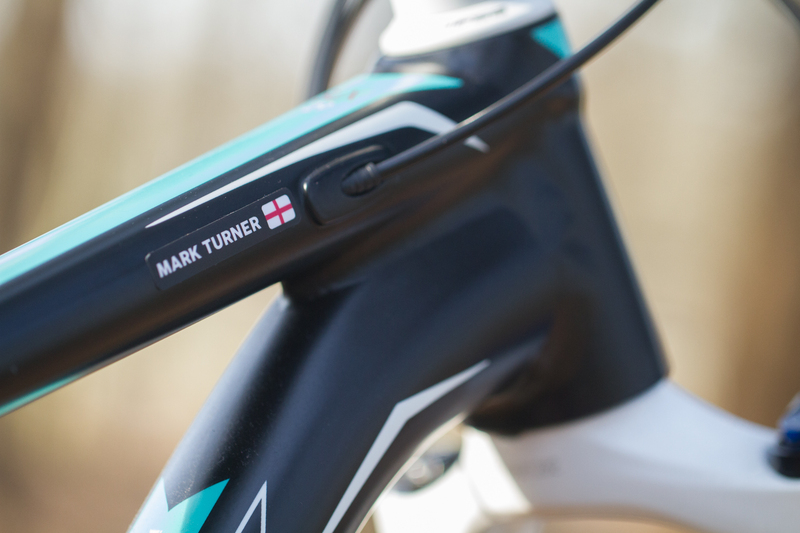 Ideal to personalise your specific bike, whether it be a road or mountain style frame. In addition, you can use it for your helmet or other gear. You can also use the stickers for other items, like to personalise a water bottle. 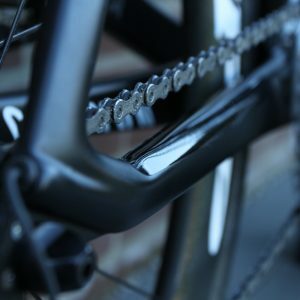 This allows you to make your bike and gear completely unique and professional. 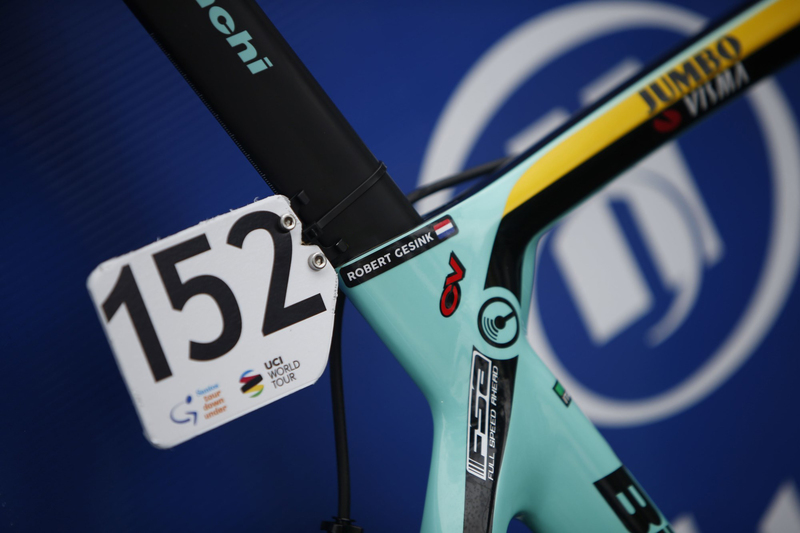 We supply a couple of teams such as Jumbo-Visma and Corendon-Circus. 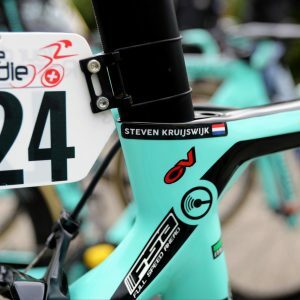 So, professionals such as Steven Kruijswijk, Primoz Rogliz and Mathieu van der Poel also cycle around with our name stickers! Elite material, as well suitable for indoor as outdoor use, UV-resistant and a maximum of 7 to 10 working days delivery time. All products are made of elite materials that are very durable. The material is made to take a beating. 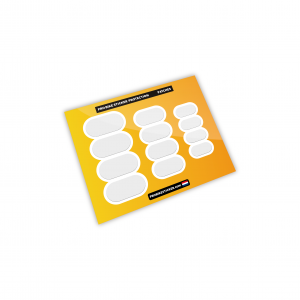 The stickers in the Pro and Premium package are provided with an extra protective (transparent) laminate, which makes them scratch-resistant and less likely to get damaged. 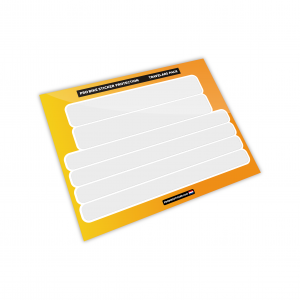 Choose between a glossy or matt laminate on your name stickers. 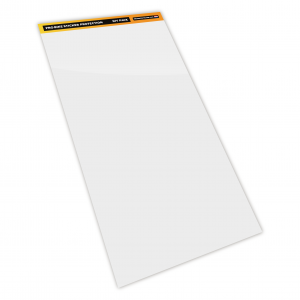 In addition, this laminate has a UV filter so your name sticker will retain its colour. 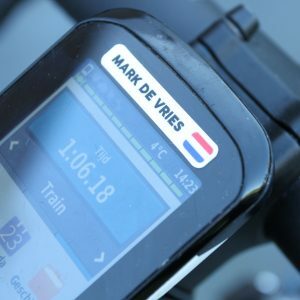 This allows you to cycle many kilometres with your name sticker while your stickers are perfectly protected. The dimensions of the stickers in the Lite, Pro and Premium package vary from eachother. Below you can see wat the measurements of the stickers are. 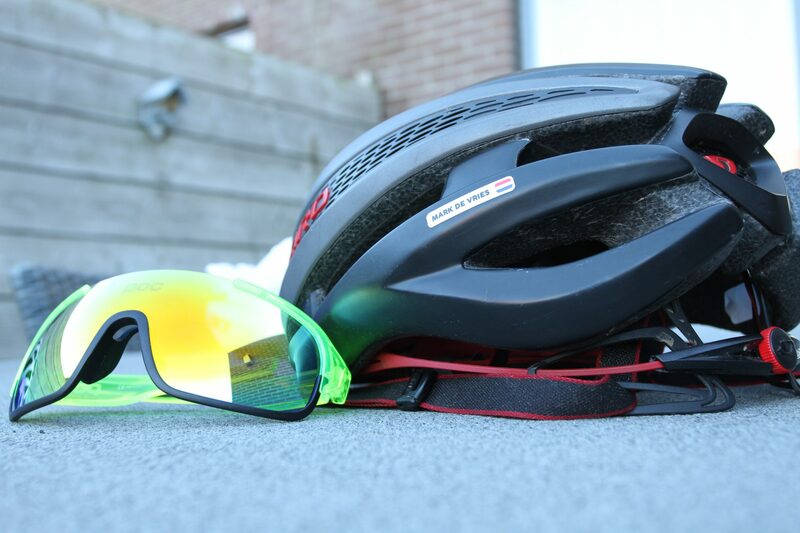 The small stickers (in the Lite package) are suitable as a helmet sticker. 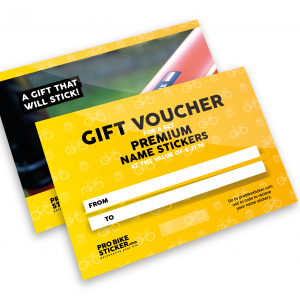 The large stickers (in the Pro and Premium package) and the the extra large stickers (in the Premium package) can best be used for your bike. Your name sticker will arrive within 7 to 10 working days! The width of the name sticker varies according to the name. If your name is longer, then the width of the sticker is automatically adjusted accordingly. 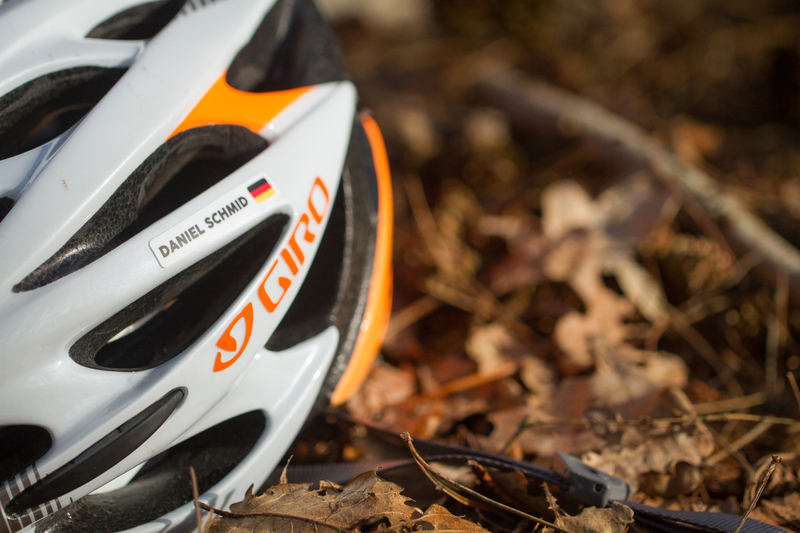 The small name stickers in the Lite package are best suited as a helmet sticker. 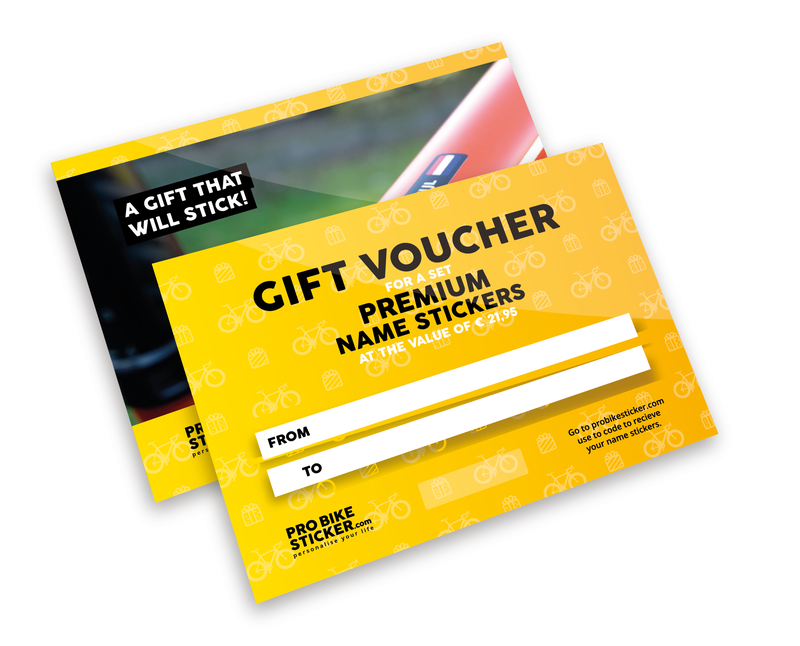 The large stickers (in the Pro and Premium package) and extra large (in the Premium package) stickers are best suited for use on the bike. You can apply the name stickers anywhere as long as the surface is not porous. 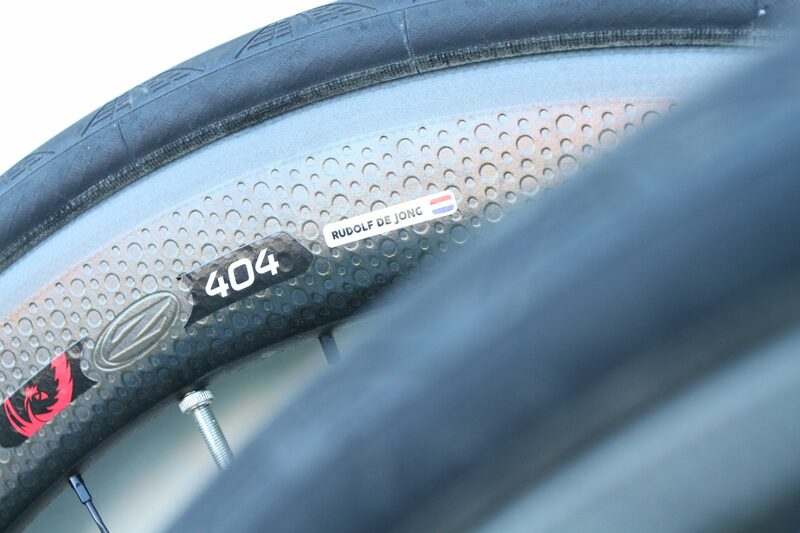 The name sticker can not only be stuck on your bicycle frame, but you can also personalise your other gear. 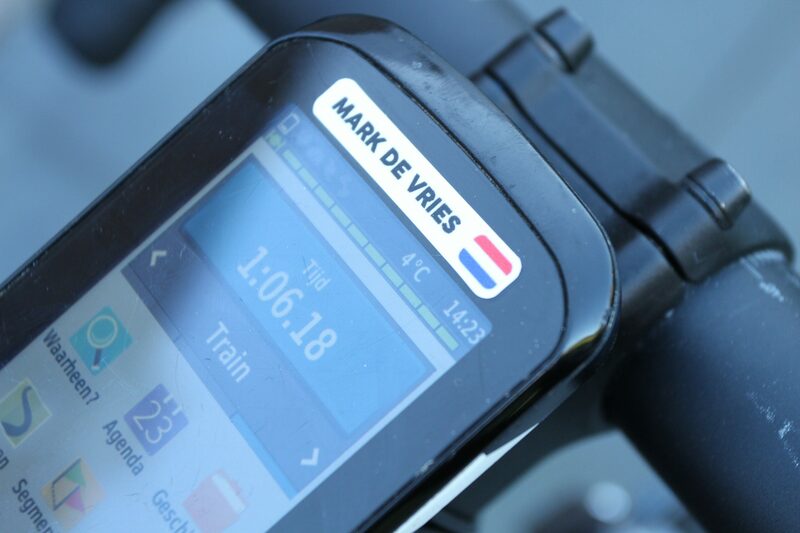 You can also stick the sticker on your helmet, water bottle, pump or GPS device. The possibilities are endless. An additional advantage of personalisation is that everyone can see which gear is yours, making them less of a target for theft. 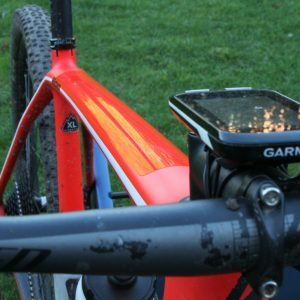 In order to optimally protect your road bike or mountain bike against splashing dirt, debris or damage, we offer high-quality bike shields. 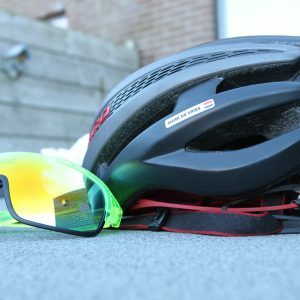 The stickers are made of the best material that provides perfect protection against a chattering chain, debris, scratches, UV rays, humidity and dirt. They are completely transparent and made of extra thick material. 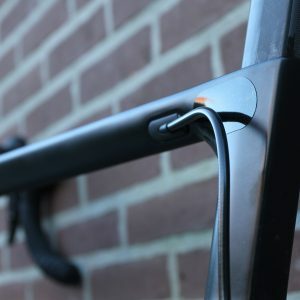 The bike shield is very easy to stick on your frame (or other places). 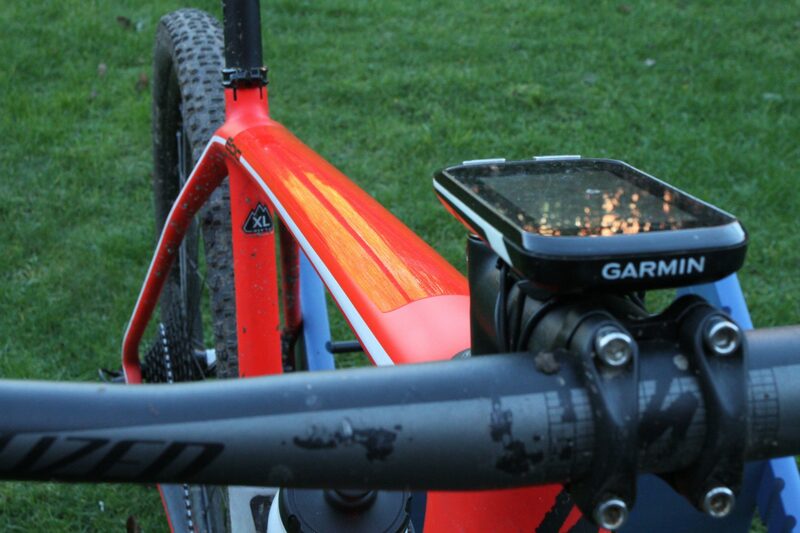 We offer several packages of bike shields so you can always choose the package that suits you best. Gift idea; the gift voucher, ideal as a gift! Looking for a fun and original gift for a cyclist or mountain biker? 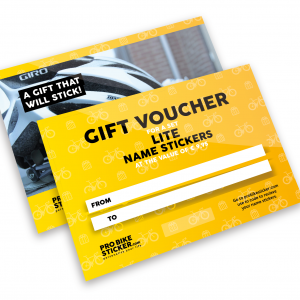 Ideal for a birthday, Christmas or any other special occasion; the gift voucher. We offer three different ones; Lite, Pro and Premium. On the voucher there is room to write down the name of the recipient and the giver. The vouchers are provided with a high-quality insert cover, so they look and feel very premium. 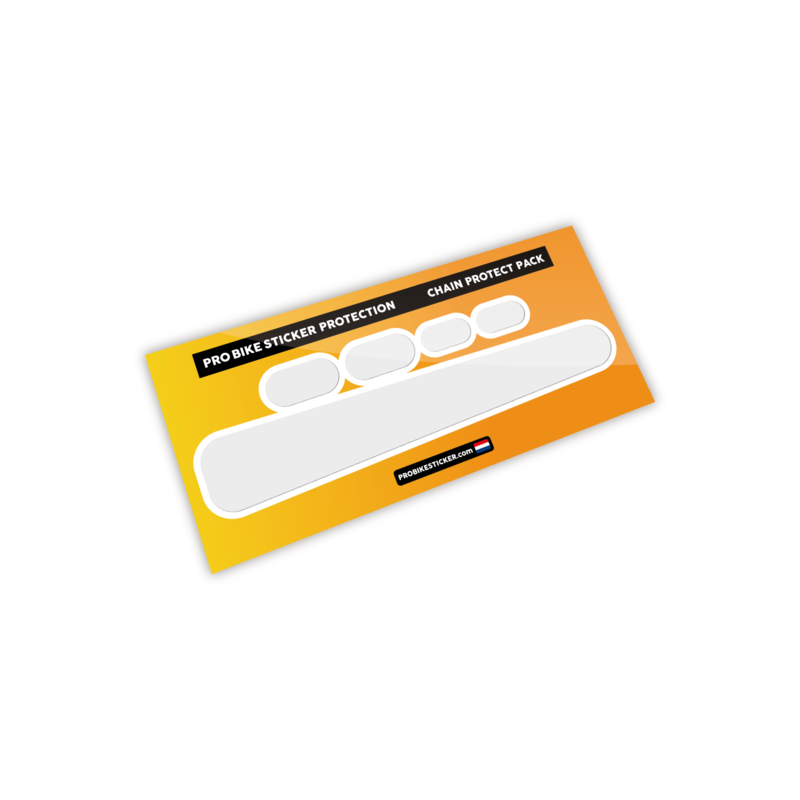 The voucher contains a unique code that can be exchanged for the sticker set set on our website. The name stickers will than be send as soon as possible. Proud sponsor of Jumbo-Visma and Corendon-Circus! 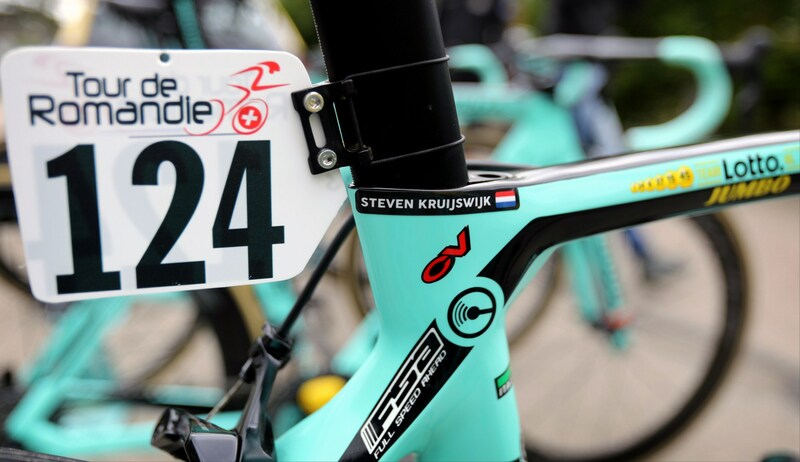 Since 2015 we are supplier of the name stickers for Team Jumbo-Visma. In addition, since 2018 we have been supplier of Corendon-Circus, Steylaerts-777 and IKO-Beobank. We are extremely proud that we are a partner of these Dutch and Belgian top teams. 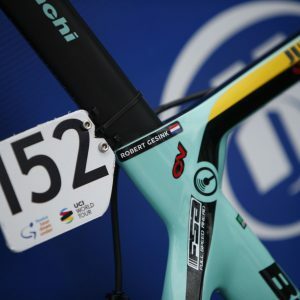 Pros like Mathieu van der Poel, Ceylin del Carmen Alvarado, Dylan Groenewegen, Steven Kruijswijk, Primož Roglič and Robert Gesink cycle around with the name stickers on their frame, helmet and wheels. All top teams set the highest demands on the material and only work with A-class partners because they leave nothing to chance. We are very happy that they have chosen us. For us a confirmation of the quality of the product. Choose your name, flag and colour and your name stickers are ready. After you have completed the payment you will receive a confirmation in your mail. 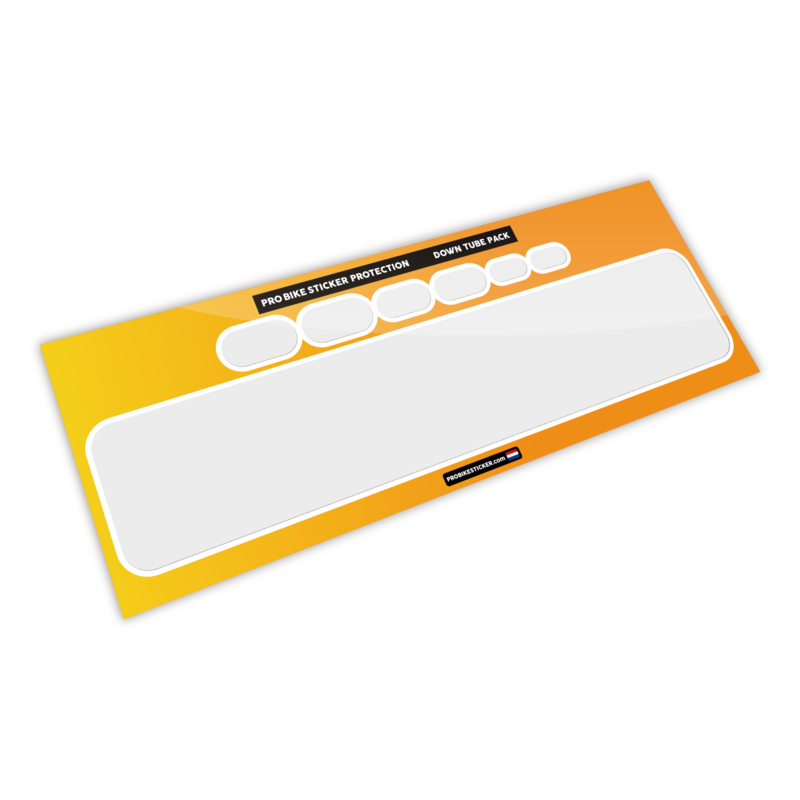 Your name stickers are then produced as quickly as possible. Shipping will take place within a couple of days and will arrive within 7 to 10 working days. 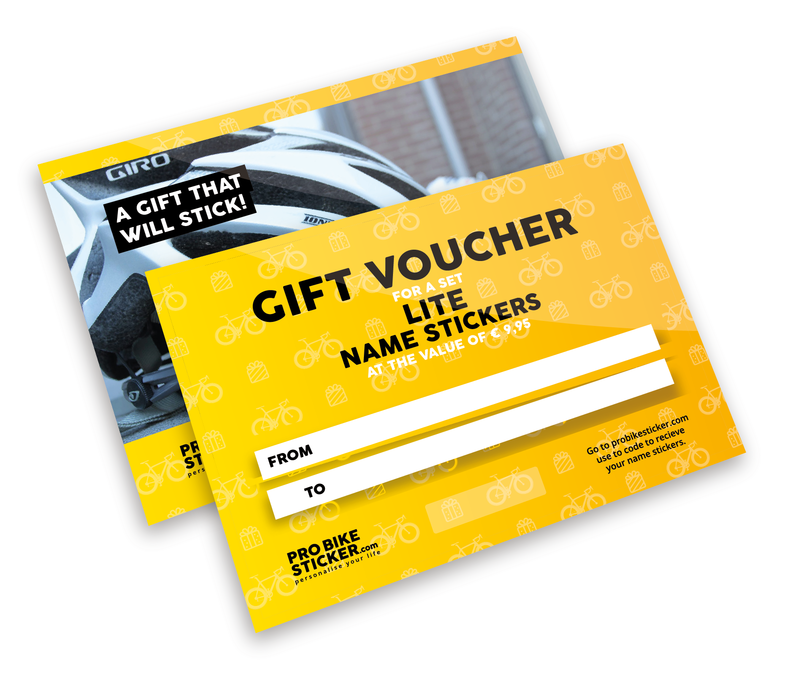 You will receive the name stickers in a Pro Bike Sticker packaging that fits through the postbox. 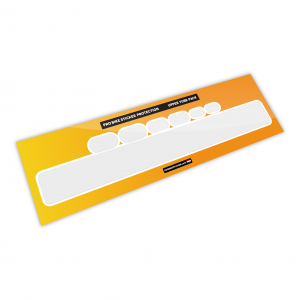 We do our very best to get your name stickers to you as soon as possible. Do you want a tailor-made order for your friends, cycling team or bicycle club? We would like to help you with this! We can make the name stickers in your own club colours with your own logo. Contact us to see what the possibilities are. 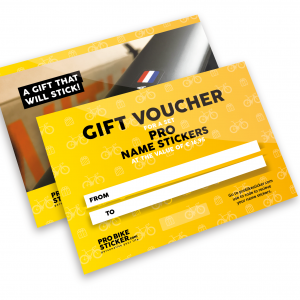 Pro Bike Sticker is a Dutch company set up by two cycling fanatics. 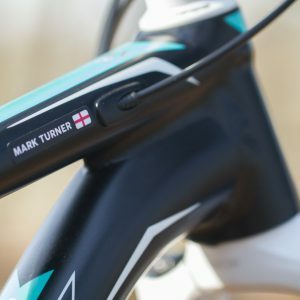 Both on the road bike, the mountain bike, but also on the regular bike we always liked to have our own name; just like the pros have! We take care of the production of the stickers ourselves so that we can guarantee the best quality and the name stickers can be delivered to you as quickly as possible. Are the prices inclusive or exclusive of VAT? All prices mentioned on the website include VAT. Yes, we ship world wide. So, it does not matter where you live; as long as you have a mailbox, your name stickers will get to you. 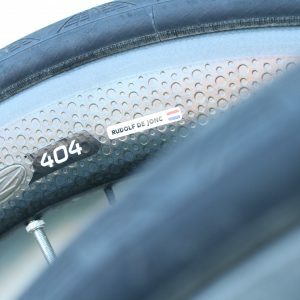 How do I contact Pro Bike Sticker? You can contact us by sending an email. We will then contact you as soon as possible. 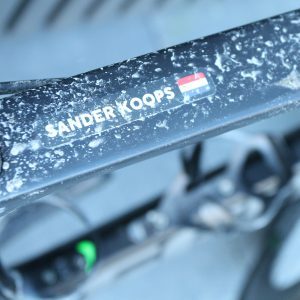 Can I clean my bike as usual, when the name sticker is on my bike? 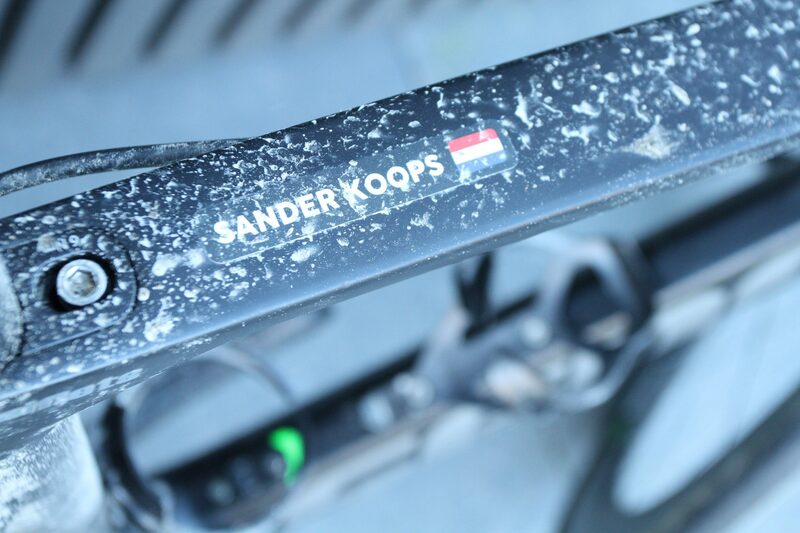 Yes, you can clean the bike as usual, but be careful with a high-pressure sprayer. Washing your road bike or mountain bike is certainly no problem at all. Can I apply my name stickers everywhere? You can only stick your sticker on well-adhering surfaces. Porous surfaces are not suitable for sticking name stickers. 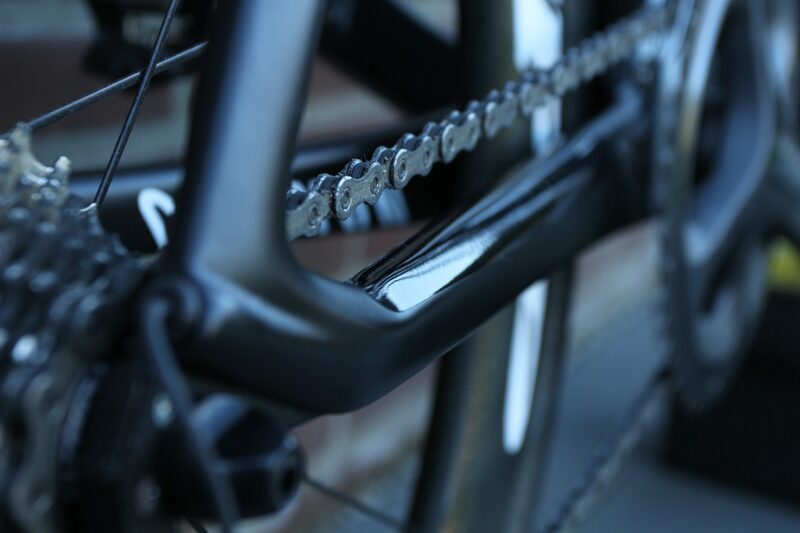 For example, a surface of fabric is not sticky; the frame of your bike is perfectly suited. Can I remove my name sticker easily? Despite the good adhesion, the stickers can easily be removed. Slowly peel the sticker off the surface. If you heat the sticker in advance with for instance a hair dryer, it will be even easier. Do I have to prepare the surface before I can stick my name sticker on it? For the best adhesion, you have to degrease the surface (do not use aggressive products) and make it dust-free. 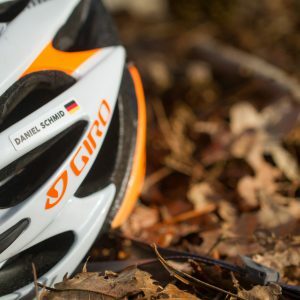 Can I order the bike shield separately from name stickers? 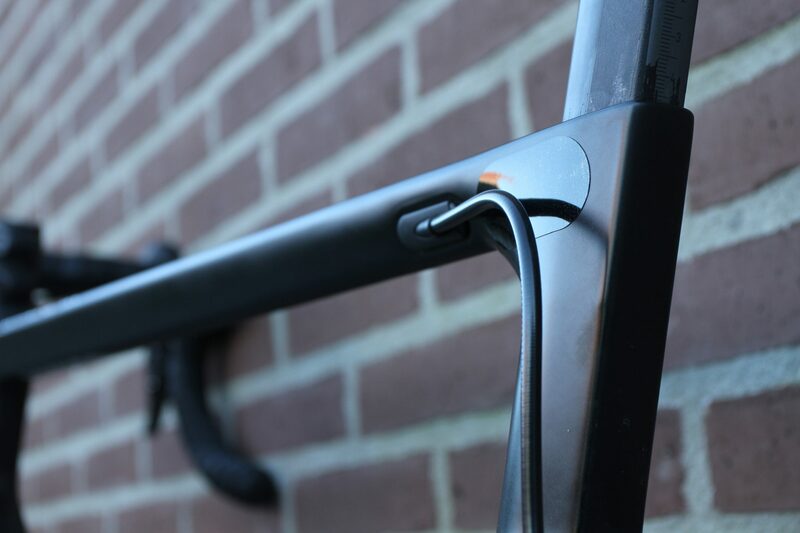 It is also possible to order the bike shields separately in order to optimally protect your bicycle against external influences. You can simply click on the item and then complete the payment. The bike shield is then sent as soon as possible. Once you have placed your order and the payment has been successfully completed, you will receive a confirmation email with your order.